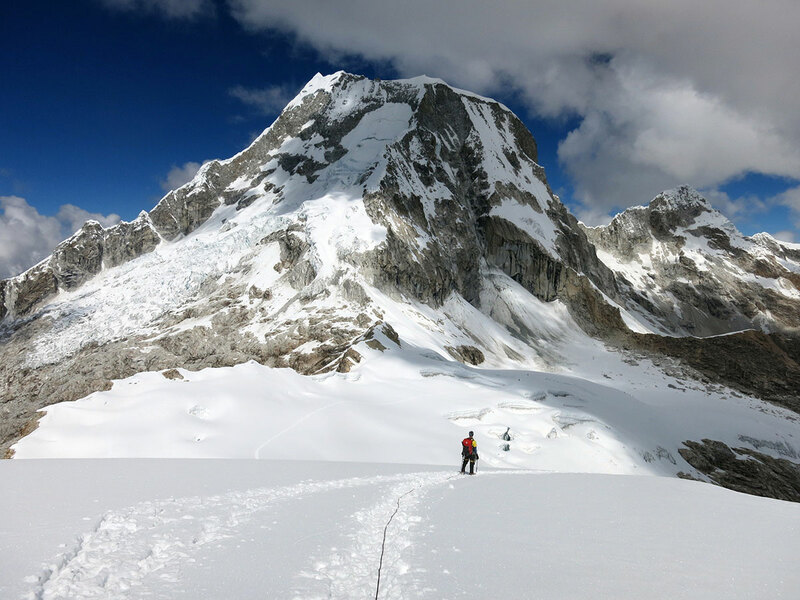 A bunch of MCSA members went off to Peru in search of isolated valleys and white summits. On seeing all their pics, it seems they were successful in their mission. They acclimatised by trekking over several high mountain passes including a rest day under Siula Grande infamous for a certain rope cutting incident and a very accident prone climber (there’s a book and a film). 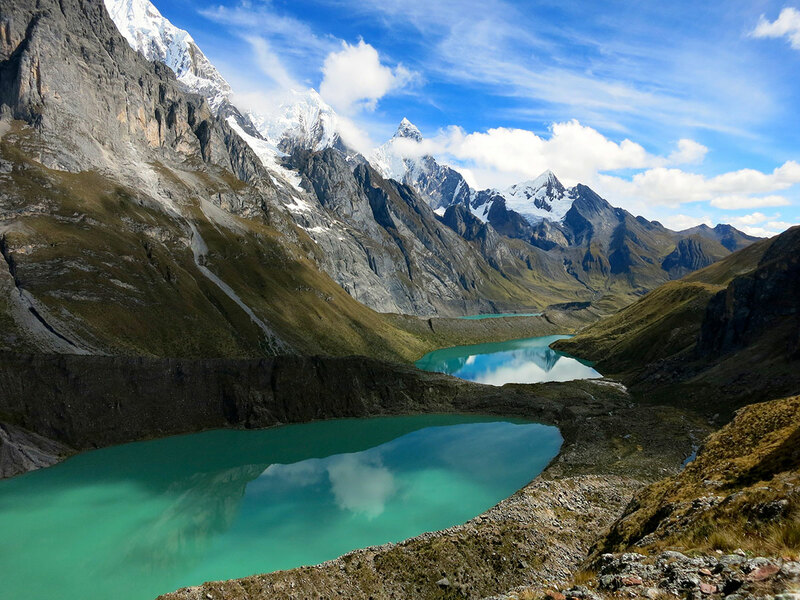 The team based themselves in Huaraz, a beautiful mountain town well suited to provide the necessary logistics for mountaineers. Some days were spent sport climbing at local crags at 4200m (I have some experience in this and it’s pretty darn hard!). 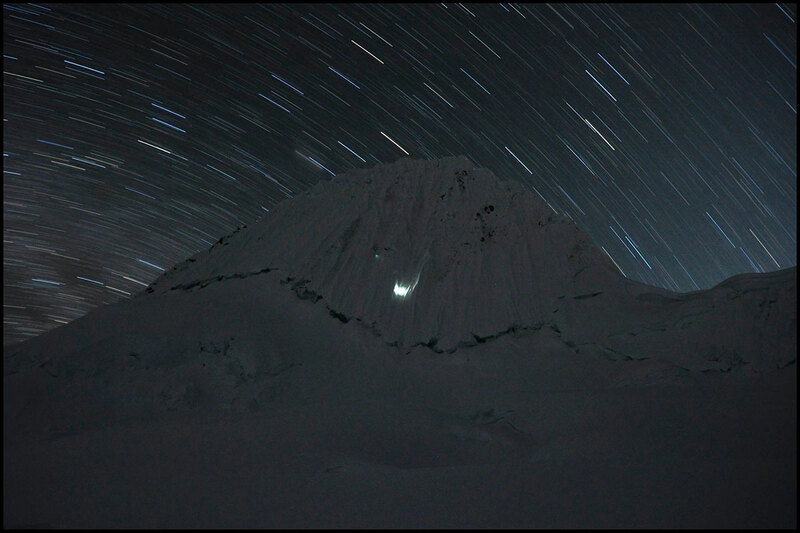 The teams’ first objective was Pisco Oeste (east) 5752m from the normal route (PD). Megan Beaumont, Michael Schaff, Jan and Jan Junior Lubbe, Peet Badenhorst, Paul Setterfield and Toit Honiball attempted the route but soon bad weather thwarted their plans. 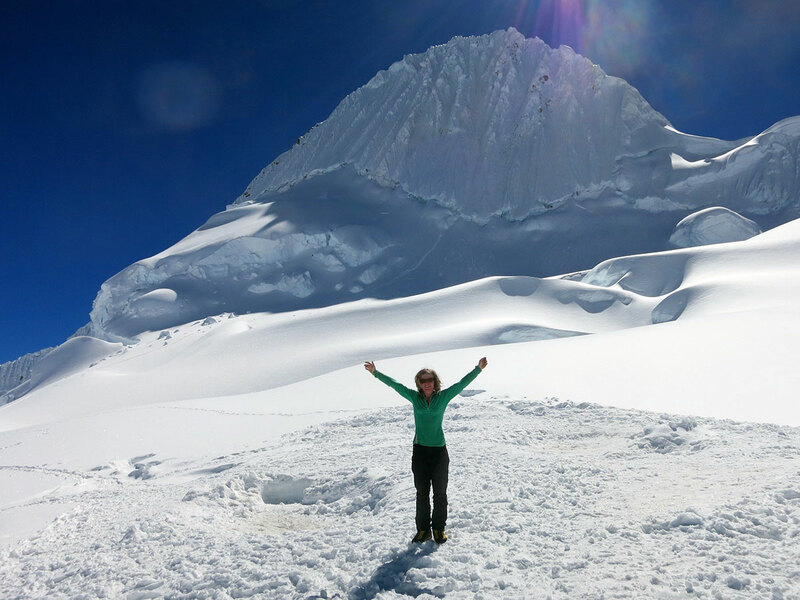 Megan climbing solo followed by Michael and Toit chose to continued and managed to tick their first summit. Knowing Megan and her perma-pysch it wasn’t long before they were off again, this time climbing Ischinca via the northwest via normal (PD-) and descended the southwest ridge, an excellent circuit giving superb views of the surrounding peaks and the majestic Tocllaraju. Some other peaks were also ticked (starting to loose count now!) including Urus Este 5420m and Valanaraju 5686m. 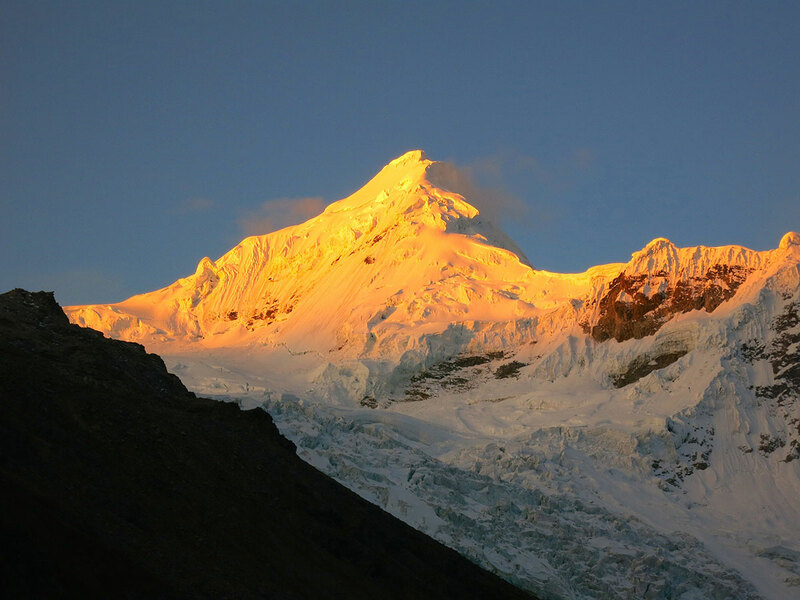 Finally the team headed to the famous Alpamayo 5947m. 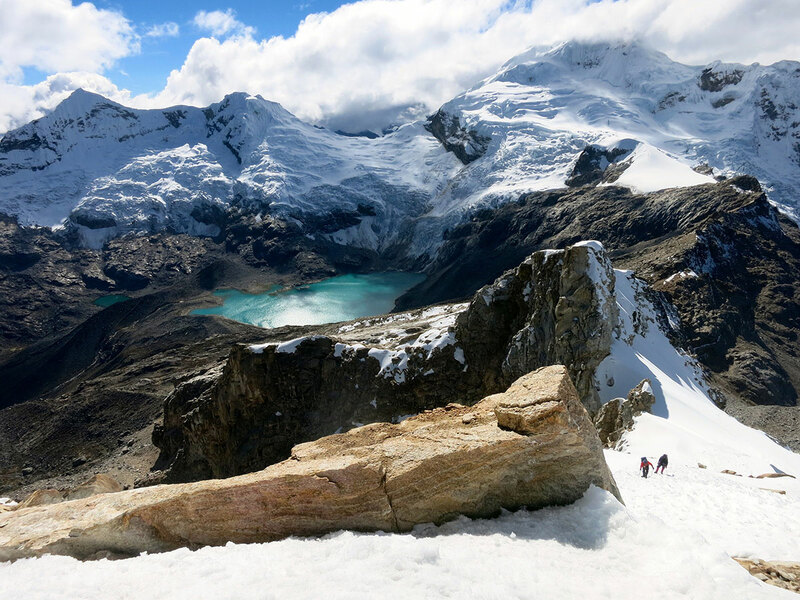 This has been called the most perfect mountain in the world which means that you’ll be sharing your ascent with more than a few other climbers. 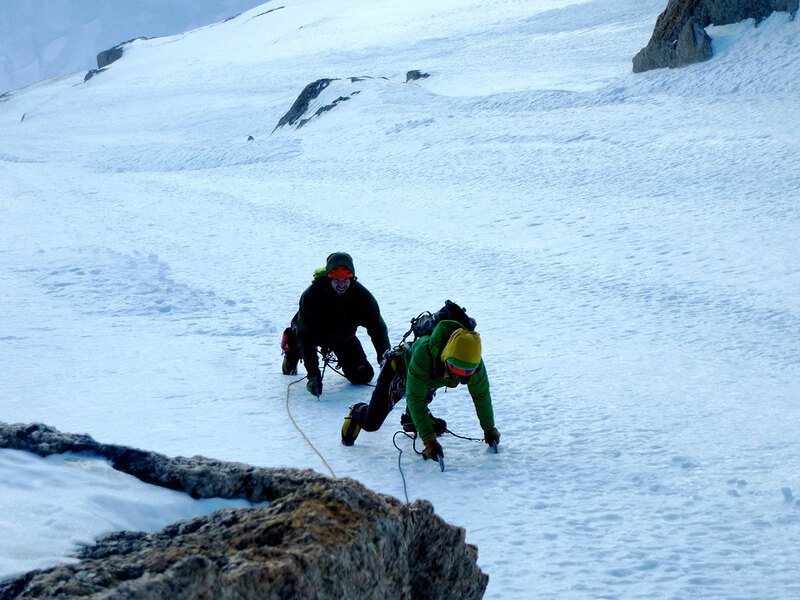 Altitude sickness prevented all but Megan and Mike getting to the high camp where the plan was to attempt the American Direct (AD+). Crowds and snow delayed their departure so after 3 nights they had a go only to find too much fresh snow and no belays. Something to go back for guys! Megan worked out her numbers for the trip: 17545m of ascent. Just a small amount then. Megan, next time we go climbing, you’re carrying the pack! 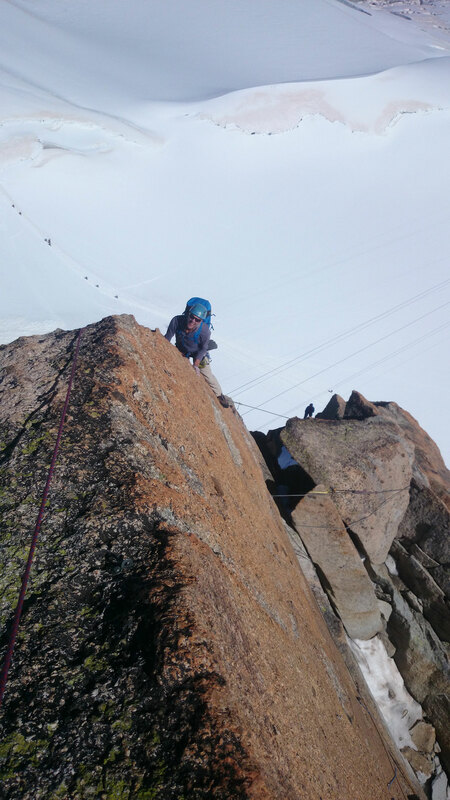 June brought more Alpine climbing for me (my boss starts making sarcastic comments about sacking me now!). Before I’ve left London I’m already frothing as a huge high pressure is sitting directly over the Alps. Jeremy and I are making plans to meet as soon as I arrive and head straight up into the mountains. After driving straight through the night, I arrive in Cham at 12pm and we gear up and catch the Midi up. Our plan was to start up the Gervasutti Pillar, bivy on route and finish the next day. We get to the base of the route and concerned about water higher up choose to melt water and cook food before setting off. Finally we start climbing at 6pm reaching a nice bivy spot at 9pm, 4 pitches up. Fortunately, and the first time instead of bivy bags we brought a light bivy tent. We went to sleep with brilliant clear skies but later an un-forecast warm air mass brings rain at 4000m that gradually turns to snow coating everything in a layer of verglass. No option but to retreat the next morning. The PGHM were busy rescuing climbers all day the next day as many parties were caught out. This is also the end of Jeremy’s trip as he is called away on urgent business. 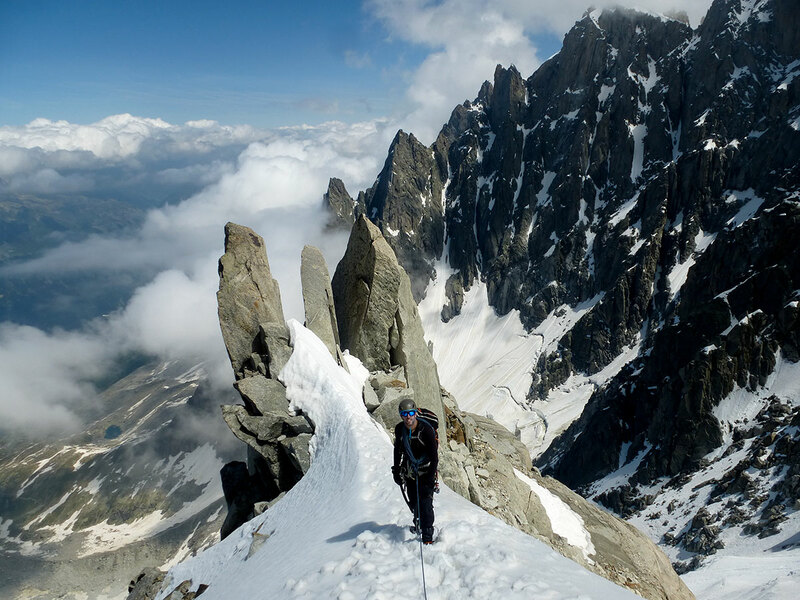 The following days Paul and I go rock climbing in the Aiguille Rogue, a more suitable acclimatisation regime, with the route Ex Libris, a trad 6b on the Brevent being a highlight. 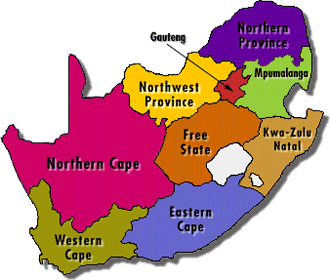 Weather looking good, Paul and I go out to climb our first Grand Course together, the Frendo Spur. Straight down from the Brevent, we take the last lift up to the Midi and bivy below the North face of the Aiguille du Midi climbing the Frendo spur the next day. The top section is bullet hard ice making for great screws but pumped calves and slow hard work. So after 5 days in a row, I must be nuts accepting Gareth Hughes (UK) suggestion to go climb Squatteurs de Lune the following day, a sustained 9 pitch 6b/20 Michael Piola route with a 2 hours walk in and back! We do it and the climbing is great but I’m absolutely shattered. 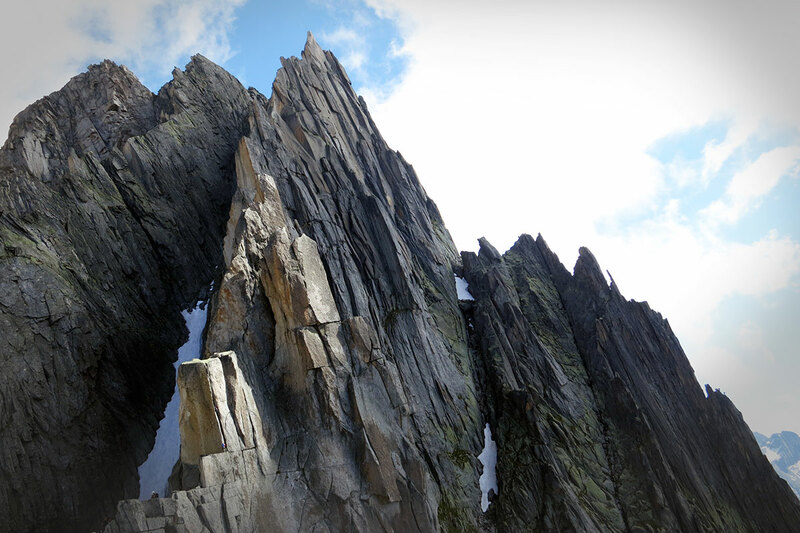 July’s objective is unfinished business; the West Ridge of the Salbit (ED1 6a+/6b A0 1000m). It’s a remarkable long sustained rock ridge formed by a series of huge towers. I fly out with David Barlow, a mate from London with whom I got rained off the route a year before. Paul meets us there. We warm up on a couple of friction slabs and the East Ridge Parallel on the Salbit and the next day we jump on the West Ridge. I still consider this the ultimate ridge climb I have ever done. 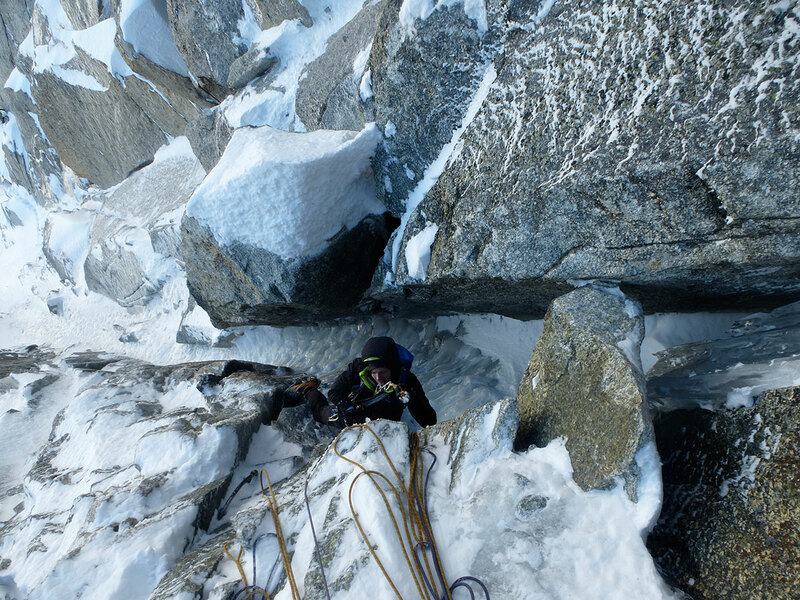 The positions are wild and exposed and the climbing incredibly varied; slabs, hand cracks, dihedrals, off widths, knife edge ridges, pendulums, arêtes and even an aid pitch. We do the route as a three in 16 hours and get to the hut to find it full and end up with a not so comfy night sleeping on the floor of the boot room. When the guardian finds us in the morning she is horrified to see the ‘squalid conditions’ we slept in and especially the way Paul is curled up like a ‘squirrel’ on a bench and hence forth Paul is known as ‘the Squirrel‘. 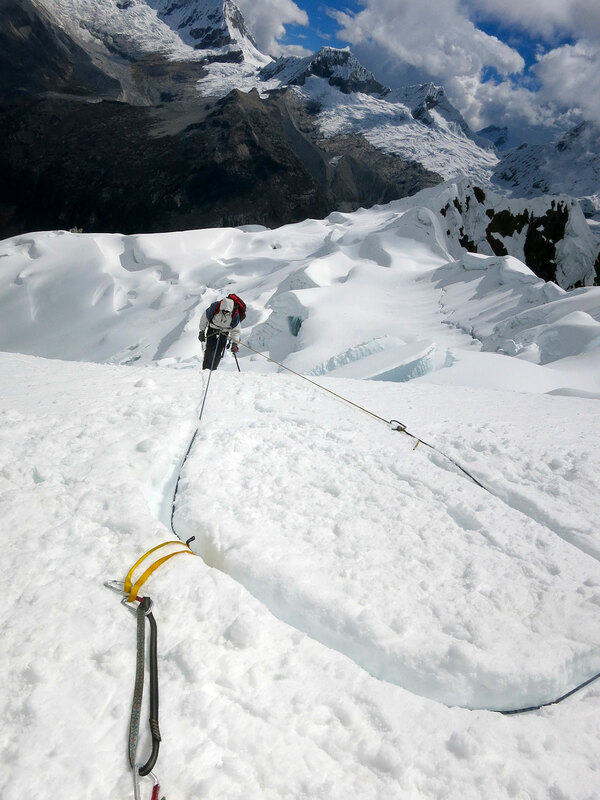 The last climb for the trip is famed for its mind fracturing run outs, Septumania on Eldorado. 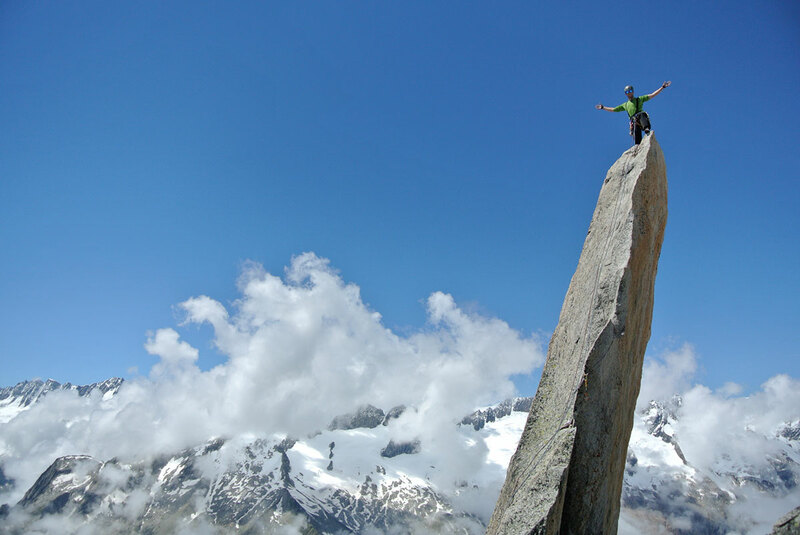 The Grimsel Pass in Switzerland is home to some remarkable climbing. The area is famed for its granite friction slabs. The valleys are steep sided where glaciers have exposed huge rock slabs from the mountain sides. This action has resulted in glacier ‘polished’ slabs and of all the places to try them, Eldorado definitely takes gold. The route follows a series of runnels and dykes with the occasional lay back and some very run out frictionless slabs above some very old bolts. 500m, 16 pitches later we had such painful feet that David chose to climb the last pitch bare foot (which was a mistake!). What a cracking trip! In 4 days of climbing we climbed 70 pitches. Team Colenso were back in Chamonix and managed to get a baby sitter long enough to climb the Aiguille du Tour (3542m) via the normal route. Many will agree that’s it’s not easy balancing climbing and family especially with two young children. 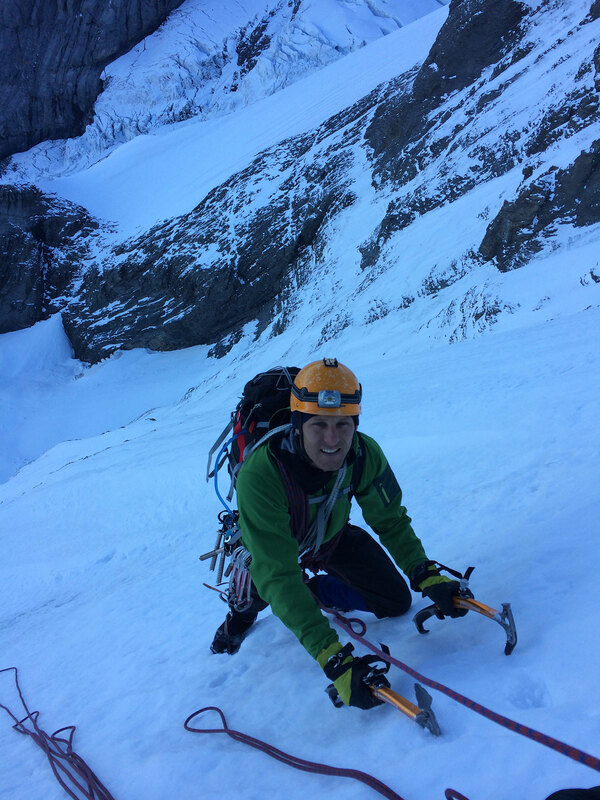 Family holiday over, Jeremy managed to weasel away to the Dolomites where with a UK partner and climbed the west ridge of the Marmolada (3343m) and the south face of the Civetta (3220m). Meanwhile, I got bored and went chalk cliff climbing for the first time. Scary stuff but really physical and great fun if not a little dirty. 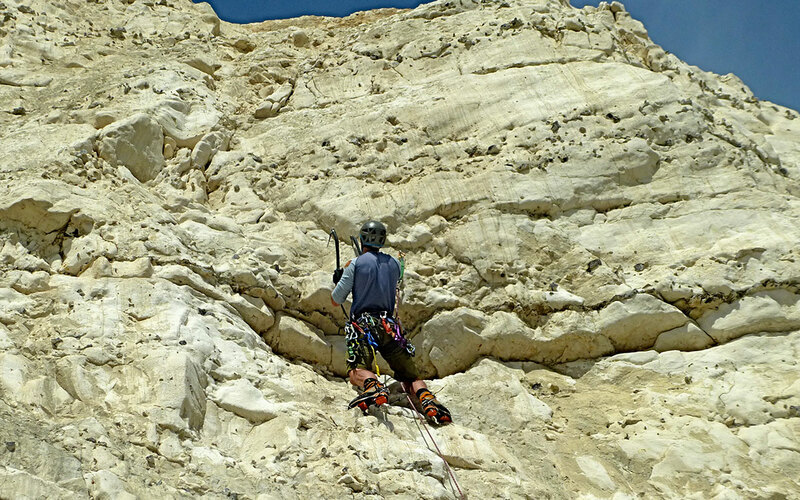 One day chalk cliff climbing = 2 days washing all your kit. In early September with Paul ‘Squirrel’ Maine and I climbed the South Pillar of the Barre des Ecrin, one of the biggest cliffs in the Alps. September is always a great time for climbing in the Alps. The weather patterns are generally much more stable and there is less thermal activity. 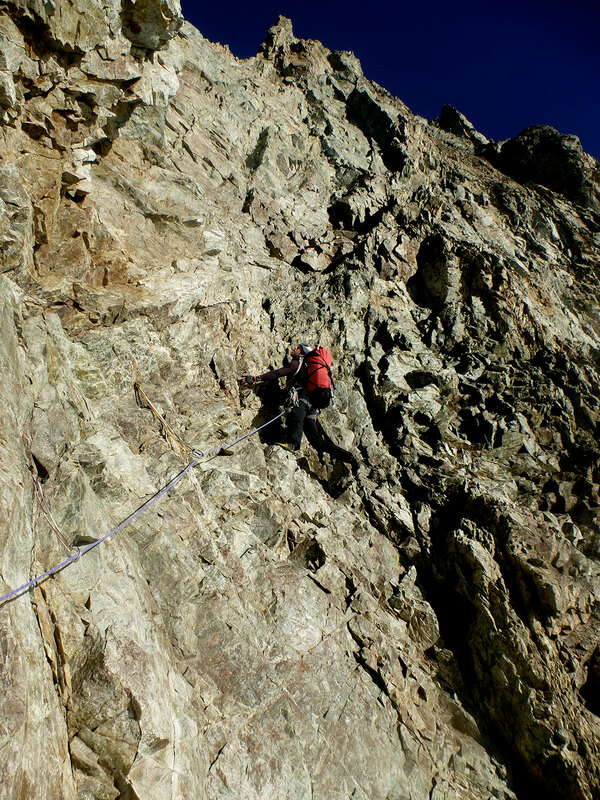 The route is predominantly rock climbing with about 300m of moderate mixed climbing at the top. The route is 1300m vertical from bergshrund to summit and is probably about 1600m long. The Alpine Club Guidebook describes the rock be being “not good” however what it really means is the rock is totally s**t.
We climbed the route in a day and a half often having to simul-climb on poor rock with little or no runners but we purposefully pitched where possible as the risk of failing off due to the choss was high. Fortunately we avoided any major dramas. The route tops out directly onto the summit where we followed the west ridge and north face off. The west ridge is in itself a magnificent climb with solid rock. From there we headed to Chamonix when we met up with Jeremy Colenso. Jeremy, Paul and we climbed the Croz Spur on the North face of the Grande Jorasses (ED1 5/V/M5+1100m). The NF of the Grandes Jorasses being one of the six classic NF’s of the Alps, it is a scary and intimidating mountain. This proved to be one of the most exciting things I have ever done, involving long sections of thin ice and some challenging mixed climbing. There is no easy way up or down the Grande Jorasses and the descent proved to be equally memorable with terrible snow adding considerable and unwanted risk to the venture. 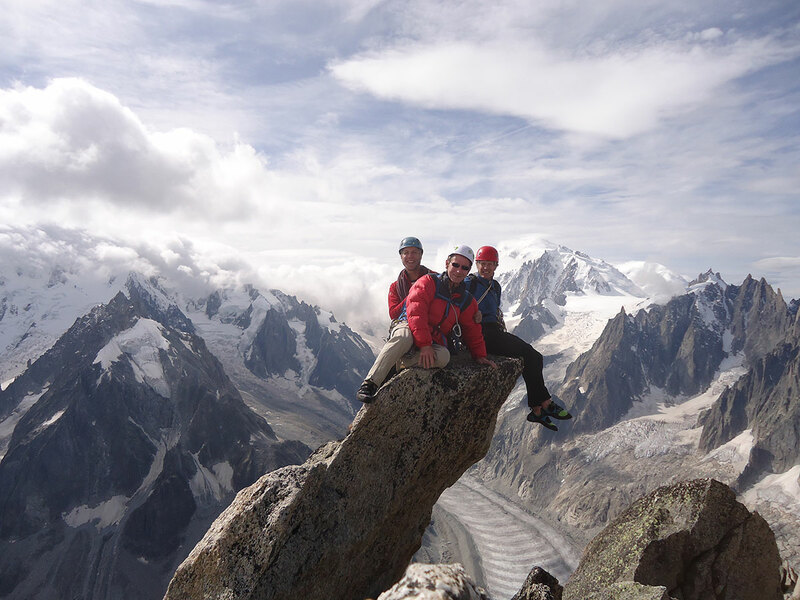 Other summits and climbs on this trip included the Aiguille L’Index and Tour Rouge on the Peigne with Paul Maine and Gareth Hughes (both UK). At the end of my trip to Cham, I met up with some Cape Town lads who had just arrived and were absolutely frothing for some action in the cold stuff. Bruce Daniels, Charles Edelstein and Deon Van Zyl. It was Deon’s first trip out so they opted for a quick hit on the Tour Ronde from the Torino hut accessed via Italy on the first day. 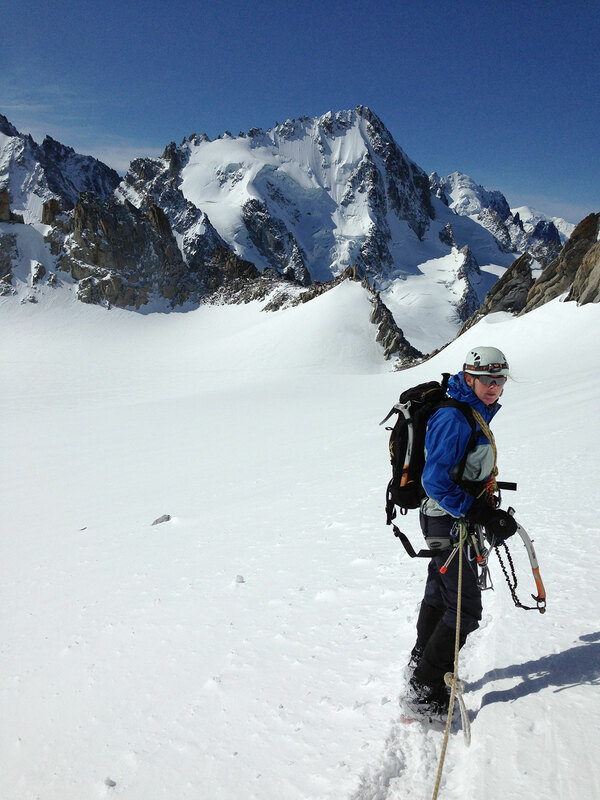 Right, lessons with crampons and tools passed on by Bruce, all three went up the Midi with the aim of climbing the Rebuffet route on the south face of the Aiguille du Midi. I remember my first time on the infamous midi arête; it’s a scary place with a 1000m drop on the left and a 400m drop on the right. 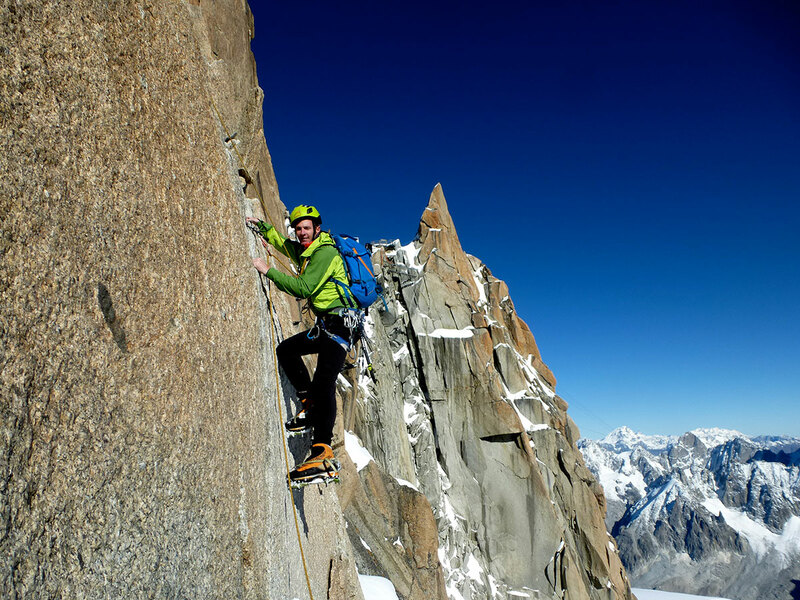 I did chuckle at Deon’s honesty that he “shat myself and could barely control the shakes” while going down the arête. Trust me Deon; on my first time, I cried like a girl! The ‘crux’ over, the Rebuffet proved no problem for these experienced rock climbers. Next on the list was the fantastic Aiguille du Moine. 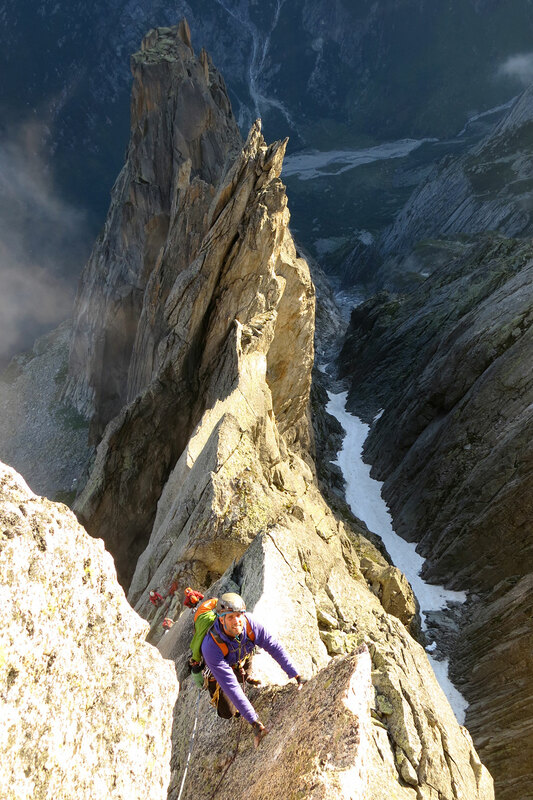 They also managed to complete the Cosmiques Ridge, Traverse of the Aiguilles Envers and summit the Aiguille Praz Torrent all in a one week trip. 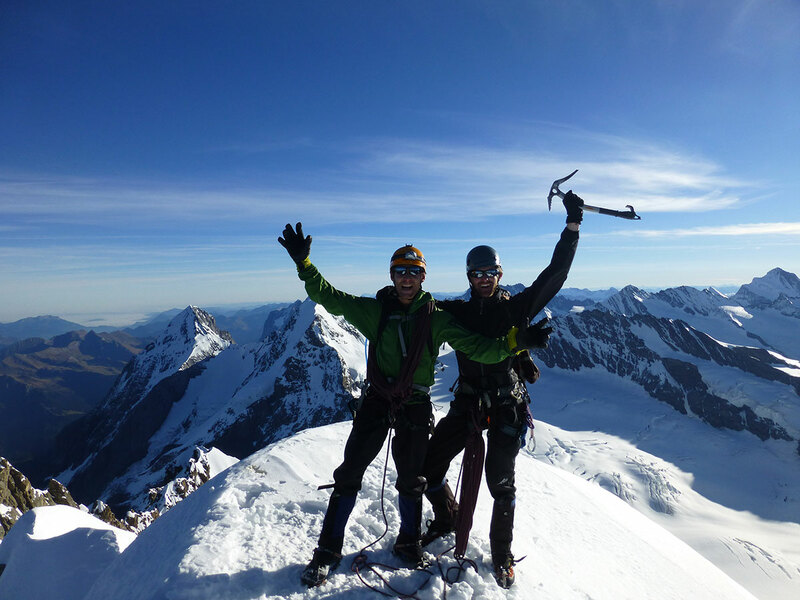 Anthony Hall and Kevin Marki were out and about and summited two very prized peaks in the Bernese Oberland, the Monch and the Jungfrau. 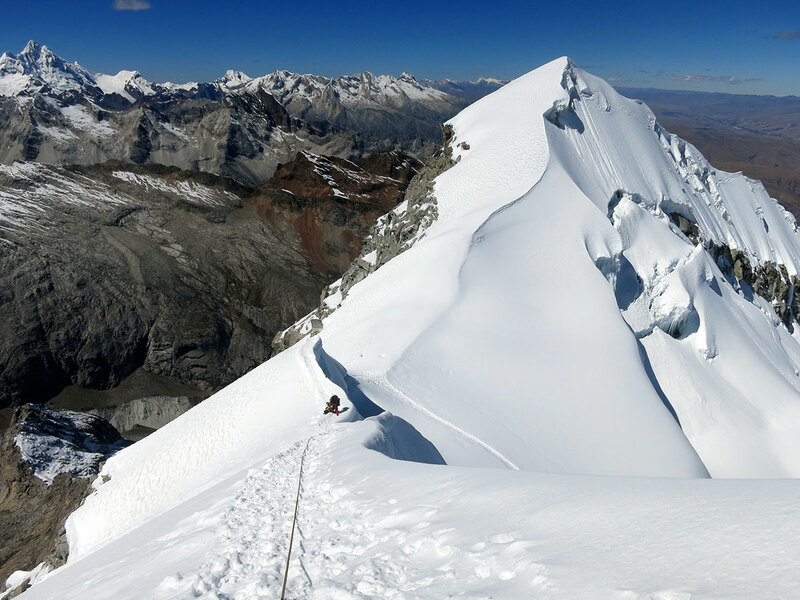 They did the Nollen route on the north face of the Monch which is described in the Alpine Club guide as a fine long climb involving sections of ice at 60 degrees. On the way down, they went up the standard route on the Jungfrau. Tristan Firman, Hector Pringle and myself all made plans to meet up in Chamonix. Unfortunately due to an upcoming surgery, I had to cut my trip short and Tristan’s work changed his schedule so he also had to cut his trip short. We did however manage to get three days out that were absolutely stellar! We met up with local lads Paul Maine and Gareth Hughes. 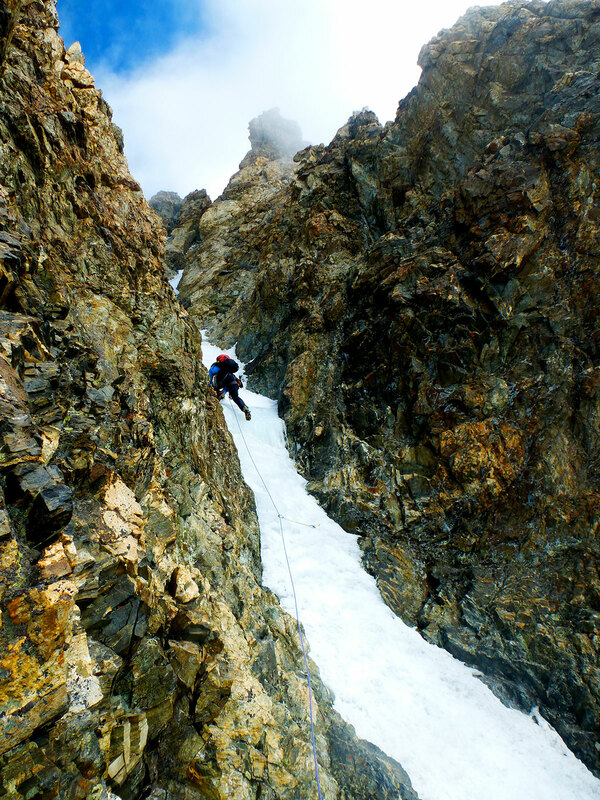 First up, Tristan, Paul Maine and I climbed the Profit Perroux Gulley on the north face of the Midi (TD M5 / AI4 – 250m). The conditions were excellent! 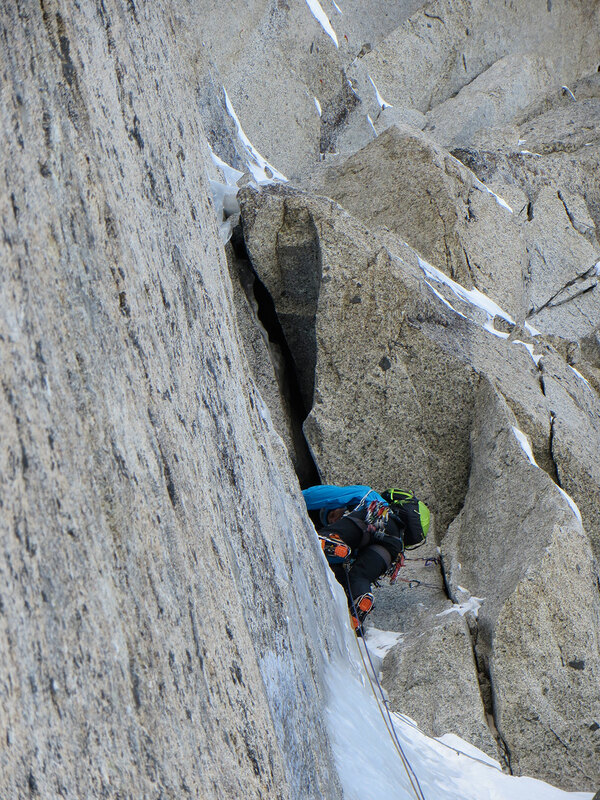 We finished up the Cosmiques arête and were down drinking beer in Chamonix by early afternoon. The next day, we split into two teams; Paul, Hector with myself and Tristan with Gareth Hughes. Gareth and Tristan skied down to the east face of Mont Blanc du Tacul where they were going to try whatever looked good. 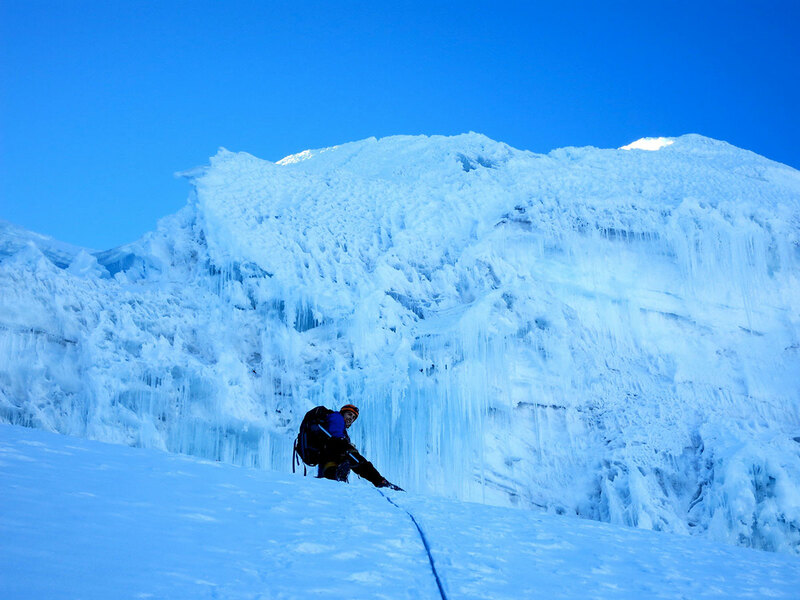 They opted for a steep mixed gulley but as the face was being baked by unseasonal hot sunshine, after two rather tricky pitches, they chose to bail as the ice was melting and small avalanches were coming down “too often”. We opted for a north facing route with less influence by the sun. 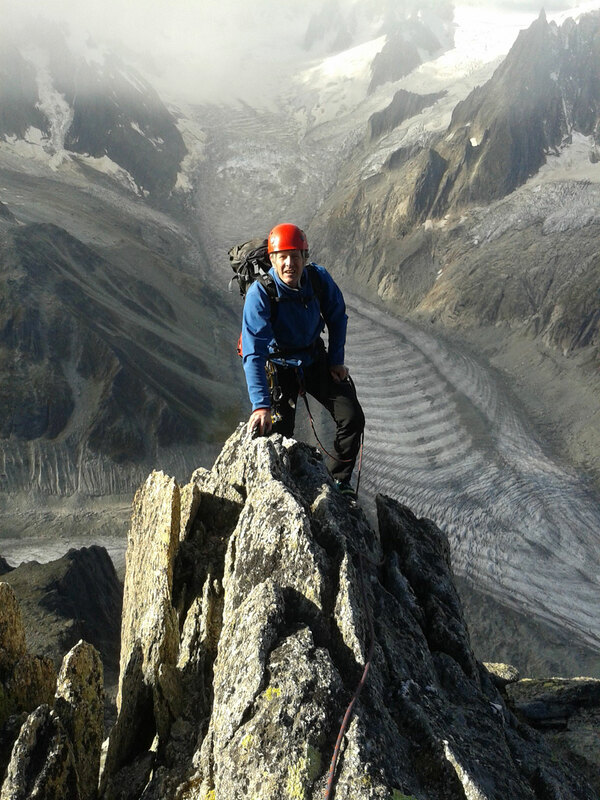 This was to be Hectors first route in the Alps so we chose a shorter route with moderate technical difficulty climbing the Contamine-Mazeaud on the Triangle du Tacul (AD+ / 350m). Hector absolutely smoked it jumping straight on the lead. So after an easier route on Hectors first day, we opted for something spicier the following day. 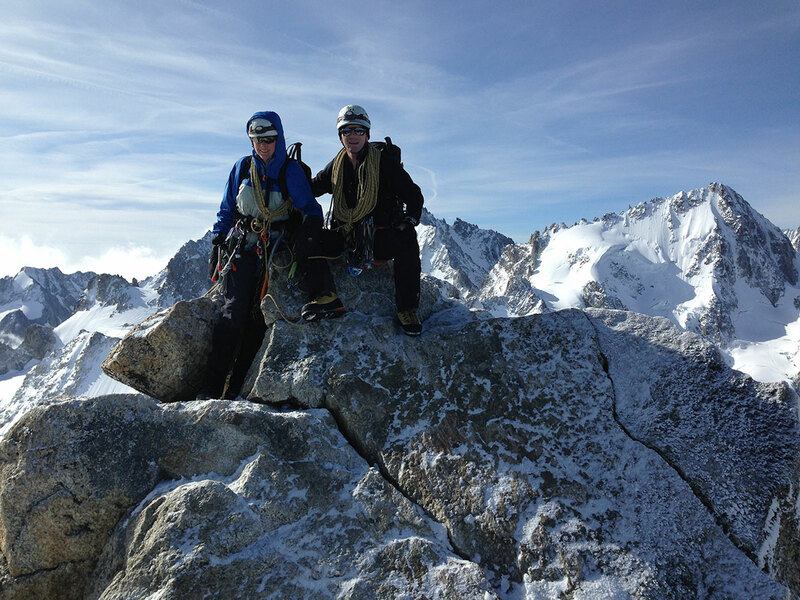 We abseiled off the Midi bridge to climb the Vent du Dragon (M5+ / AI4 – 250m). Whilst the same grade as the Profit Perroux, it is much trickier and has two excellent sustained mixed pitches, again this route put up very little resistance to Hector. I am excited to see how his alpine skills develop in the upcoming years and I expect him to emerge as one of SA’s leading alpinists. At 6’7” he certainly has no problem with reach or carrying heavy backpacks! And that’s a wrap; I’d love to hear more about what Saffas are doing in the field of alpine and winter climbing, generally with crampons and axes someway involved – July in Boven or Silvermine isn’t quite what I mean :-). Please drop me an email at saclimber(at)gmail.com. 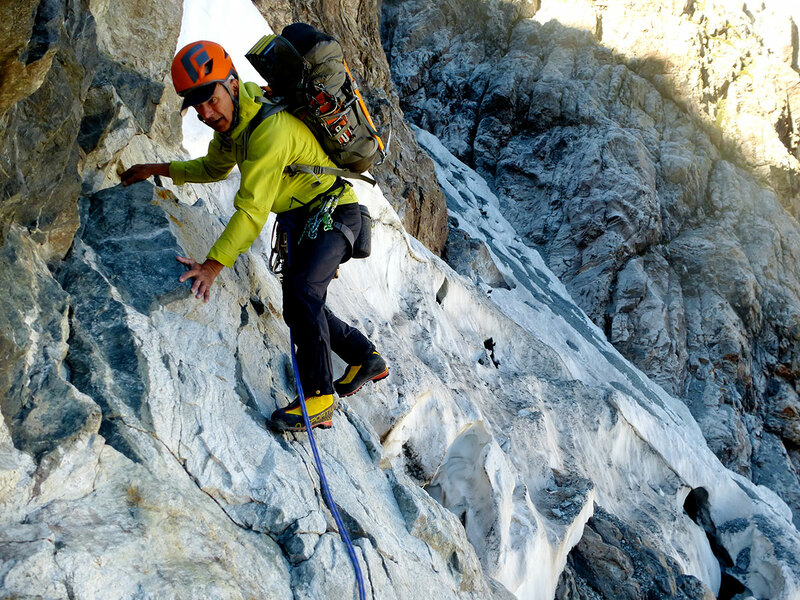 Rob Powell is a DEAT Registered Mountain Guide from Cape Town but resident in the UK. 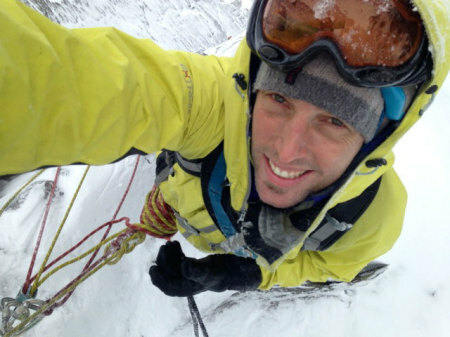 He offers guiding and instruction in South Africa and the UK including winter climbing in Scotland. 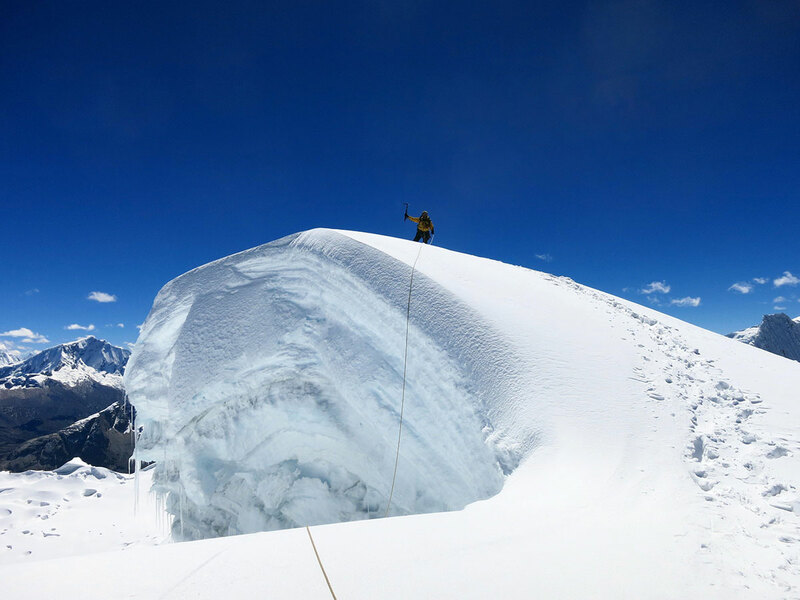 He enjoys and guides all forms of climbing including rock, ice and mountaineering and has climbed in the UK, South Africa, France, Italy, Spain, Portugal, Switzerland, Croatia, Thailand, Malaysia, Indonesia, Australia, New Zealand, Chile, Argentina, Bolivia, Namibia, USA, India and Pakistan. Celestial Journey, 36 years on! !